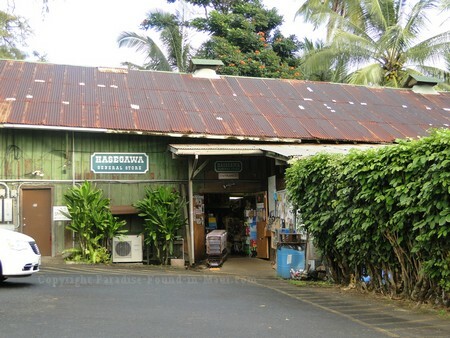 The Hasegawa General Store, Hana: Stop in for Some Shopping in Maui! At the Hasegawa General Store." The exterior of the store has seen better days, but don't let appearances hold you back from checking out this historic Hana landmark for a bit of shopping in Maui. Just as Paul Weston sang, this 100-year-old-plus fourth generation family run business really does have a wonderful variety of merchandise. Their eclectic mix of merchandise includes groceries, snacks, shirts, hats, postcards, sunscreen, wine and spirits, souvenirs, doorknobs, fishing rods, books, wall art, cutting boards, bags, balls and more! With such a variety, it's definitely some of the more interesting shopping in Maui! Need some cash? Then their ATM machine will come in handy too. If you'll be staying in a Hana, Maui condo for a while, you might want to pick up some of their farm fresh local produce - when we were there, it looked beautifully fresh and tasty - perfect to stock up your kitchen! For a delicious start to your morning, try a taste of the Hasegawa Hana Blend Gourmet Coffee. As you browse the aisles, keep an eye out for "Uniquely Hana" tags on the merchandise - these are items that you won't find anywhere outside Hana, Maui, so if you like it, be sure to snap it up before you leave! Also worth a look are their custom printed t-shirts with designs that are only found here at Hasegawa's. The Hasegawa General Store was founded by 2 brothers, Shoichi and Saburo Hasegawa, back in 1910. At the time of this writing, this is the oldest family run business on the entire island of Maui, Hawaii! Back in 2007, this one-stop-shop was honoured by the Small Business Association by being awarded the "Maui Family Business of the Year." 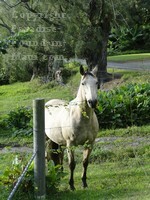 They are located in the town of Hana, Maui, at 5165 Hana Highway. To get there, drive south through town on the Hana Highway. 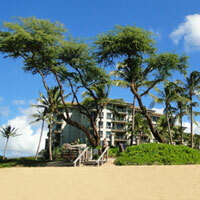 Continue past Keawa Place, the Travaasa Hotel Hana and Hauoli Street. Just past the turn-off to the Hana Ranch Restaurant, you'll see the Hasegawa General Store on your left. If you're lucky, you may even see what I call the "store greeter" (picture on the right) keeping an eye on you as you park in their parking lot! 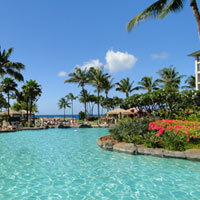 You can go shopping in Maui here Monday to Saturday from 7 a.m. until 7 p.m. and Sunday from 8 a.m. until 6 p.m. Their telephone number is 808-248-7079 or 808-248-8231. If you want to check out the town of Hana, but don't want to do the driving, there are lots of guided tours available that will take care of not just the driving, but your meals too! Personally, I love Barefoot Tours for this. Whether I want to go on a tour to Hana, a luau, or anything else I can dream up, they always have something that suits me. booking everything in from them means that if questions come up, they're the only ones you need to call - there's no need to keep track of company A, B, C etc. Check out available activities here. 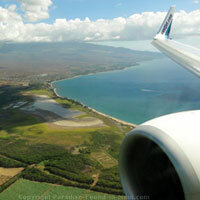 If you're interested in a tour to Hana, look under "Land Tours".